In the past 4 years, Danish startup Airtame has marked itself as a frontrunner in the world of wireless HDMI. 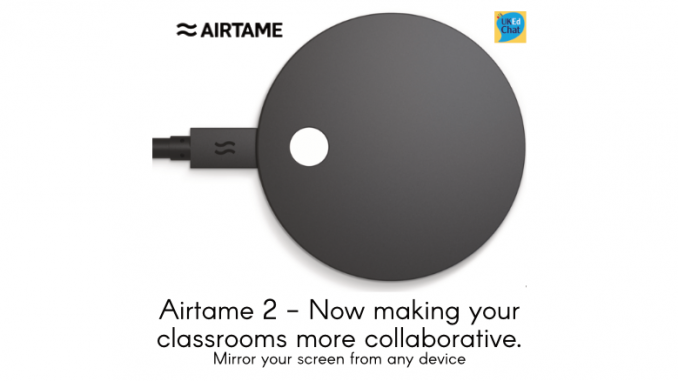 Now they’re launching a new hardware product – Airtame 2. The new product will deliver much more than a cable-free solution by tapping into digital signage and app integrations. Whereas the first generation Airtame was mostly a screen mirroring solution, Airtame 2 is re-imagining how to turn blank screens into smart, collaborative displays. Better components: Four times the amount of RAM for speedy firmware and software updates and a product better equipped for future advancements. Brand-new WiFi chip: The new chip is about five times faster than its precursor, which provides the user with both a faster and more reliable internet connection. Kensington Lock input: Protect the device in semi-public environments such as classrooms and waiting areas. Intuitive LED – the glowing light indicates the current state of your device, whether it’s updating, in standby mode or actively being used to present. Flexible setup: Mount the device with the supplied magnetic wall mount. No need for drilling into a wall! Airtame 2 retails at $399 per device. 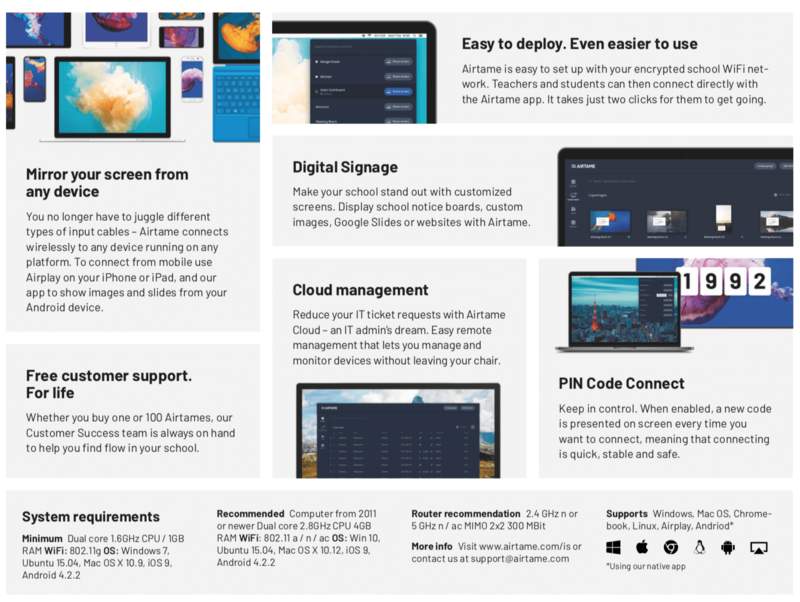 Airtame recently released four Homescreen apps, simple app integrations for better team collaboration and digital signage. Airtame has doubled its revenue two years in a row.